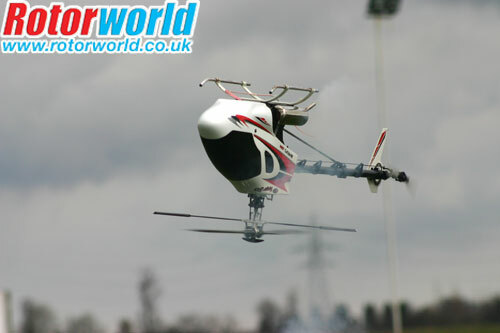 You will no doubt have read about the annual 3D aerobatic competition events that take place every year such as the Clubman 3D, UK 3D Championships and of course the 3D Masters. Here I’m going to discuss what entrants might be required to learn in order to take part in one of these competitions, so that you can go away and practice the right things in advance. Not planning to enter anything? Don’t turn the page just yet, because what follows is a description of how you can perform some precision FAI style manoeuvres with style and grace – skills that will enhance any pilot’s repertoire. If these sound familiar, don’t be too surprised, they are, in fact, similar to the BMFA ‘B’ test manoeuvres. You’re probably thinking the list reads more like an F3C routine than a 3D one, but throwing these into the pot would allow spectators and judges alike to gain a clearer indication of the pilot’s true abilities. Things have changed a bit over the last few years and the manoeuvres have become more complex and difficult as both the machinery and pilots have become better able to handle them, but it still doesn’t hurt for a pilot planning to enter into competition level flying to be able to perform these BMFA ‘B’ test manoeuvres. When entering any competition, a professional-style approach will not do you any harm. Speaking as a competitor, a competition begins for me the moment I walk up to the start box, and ends when I carry my helicopter back to the pits after the flight. Be fully prepared for your turn – nobody likes waiting for a late, disorganised person. If you have a second model on standby, make sure it’s fuelled up and ready to go, just in case your number-one machine has any problems. What’s your caller up to when you’re getting ready? You have enough to do without worrying about that, so make sure you choose someone reliable. He or she needs to have the manoeuvre calling papers and a stop-watch ready to go, and should be keeping your situation organised. When on the flight line, the caller must not block the sight of the helicopter from the judges; many kneel behind, and to one side of, the pilot in order to avoid any points deductions during a flight. Let’s take a closer look at that list of wildcard manoeuvres, which you’ll be asked to perform and orientate within a flight box. This box is 10 x 10 x 10M; the third parameter relates to height, so in essence, we’re looking at a cube, located about 2.5M in front of the pilot. Using such an area will give the judges a very clear indication of the pilot’s ability to perform accurately and skilfully throughout the flight. Two of the manoeuvres listed are obviously based on the hover, whilst a third requires slow flight, but still draws on good hovering skills in terms of control; these are the nose-in hovering M, the nose-in top hat, and the hovering figure-eight. Good examples of these are very hard to perform in our not-so-perfect weather conditions. For success, you’ll need to be good at anticipating the controls required, and adept at entering fine adjustments on the sticks. 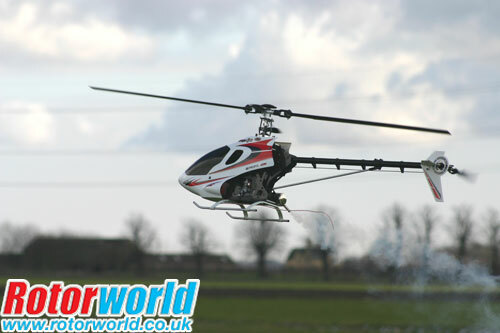 In addition, a clear visualisation of the intended flight path is needed, and you’ll have to be mindful of the wind direction, and how it is likely to affect your helicopter when changing the direction of flight. When performed well, the shape of a nose-in hovering ‘M’ should be very obvious. In truth however, I’ve seen some awful examples when people have been making attempts at the ‘B’ test, so this is an area that at least a few people need to work on. 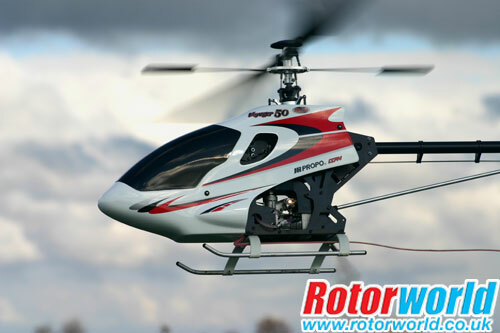 Starting from the centre of the box, get your helicopter hovering nose-in with its skids at head-height; pause for about two seconds, and then move diagonally to the first corner. 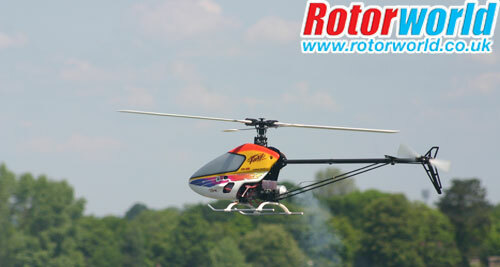 Try to maintain a constant speed and height, without losing your nose-in position. Again, pause over the markers, before moving off – it’s important to show the judges that you’re making a well-structured flight, with even pauses, and constant speeds. The hovering figure-eight looks easy when performed well, but if you’re flying in a breeze, you can all-too easily drift in and out of the hover, making unintended transitions into forward flight. This is a bit of a nightmare when it happens, so get practicing! This manoeuvre will have downwind and upwind components, which need to be executed in a continuous, slow fashion. If you aren’t quick enough on the collective when switching from upwind to downwind, there will be a momentary loss of lift until the situation is corrected, a possibility of poor height control, and points will be lost. Where the nose-in top hat is concerned, orientation will be the downfall of many. You need to be fairly close in and quite high, positioning that’s not easy if you haven’t practiced enough. A big problem here, I think, will be the pace of the flight, because you must learn how to control your speed at height; with two vertical sections, the pace has to be slow – medium hover at the most, if only to give a degree of structure. Again, be sure to make those two-second pauses at the required positions. 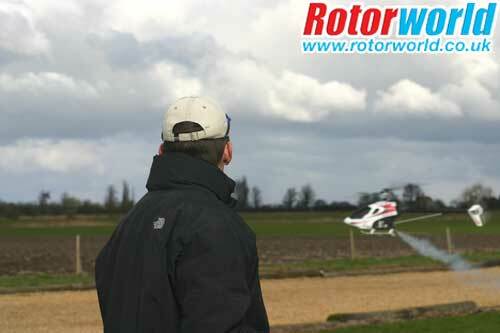 Your caller needs to remember the 3M run in and 3M run out – decide if you want to enter upwind or downwind. Moving away from the hovering, let’s take a look at what’s involved when performing a double stall-turn; for this, a tidy, compact version of what you might fly on a normal Sunday morning is what’s required for big points. 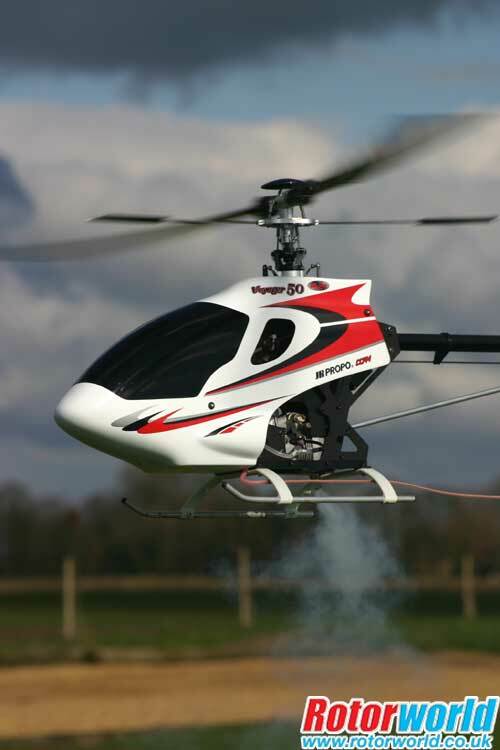 It’s fairly easy to fly off and do a stall turn at either end of the field – and, we all know that you need speed to get the right height for performing a safe 180° degree manoeuvre, with recovery back into forward flight. However, you need to be careful not to make the manoeuvre look rushed – think about using some collective power in the bottom of the pull-up, because this will give you an extra kick in the climb, forcing the helicopter upwards. This helps if you haven’t got enough speed in the run-in. Try compensating for the wind at either end of the box when making a double stall-turn. One of the turns may need a little negative, while the other requires positive or even some aileron – who knows, it all depends on the weather conditions. Whatever, the overall result should be a manoeuvre that looks highly symmetrical. Our last wildcard manoeuvre is the 45° approach and landing, which should begin at least 20M high, preferably into-wind, and parallel to the pilot, judges and flightline. This provides a platform for the 45° approach, which should be made at a constant descent rate, and on a straight-line – when you get to the bottom, you need to finish evenly on the skids, with no hovering about. This is actually a very skilful manoeuvre that’s not so easy to execute with the power on, as opposed to performing an auto. If I were you, I would consider having a lower head speed for this one, just to take some of the liveliness out of your helicopter. In the descent, your model will be falling at approximately zero degrees, and you may have a slight amount of back-cyclic according to wind strength – so, the nose of you machine may be up slightly. Upon landing, a slight forward-check with the cyclic may be needed to stop the tail hitting first. Whatever the manoeuvres you choose for your routine, try to maintain a well presented appearance to the flight. Make sure the judges can define your manoeuvres, and that they know what’s coming, i.e. when each one starts and ends. Take care to exhibit symmetry when entering and exiting each one, and make your caller aware that he or she needs to call ‘end’ or ‘complete’ if they know you’re going to crash – it’s all worth points! It’s easy to write about a good job, but not so easy to execute one when it comes to the crunch. However, these descriptions play an important part in setting you a target, which you can then hope to achieve through practice. Being involved in a competition is a fantastic experience, because it provides focus and discipline – if you haven’t already, give it a try some time!